Well... it’s that time of year, time for the New Year’s posts. You know the ones, top 10 things to do for the New Year, New Year new you blah, blah, blah. New Year’s resolutions are blasted on TV, in social media and magazines. While I am usually on board with this thinking this year it has an even greater meaning for me. You see this year our dear friend and nail guru Vicki Peters will not be joining us in 2015. Our friend Vicki passed away on New Year’s Eve, an event I still cannot quite fully grasp. I spent some time with her last in Orlando, solving all the world’s problems, well at least the nail world. How can it be I will not have her advice, her humor and her guidance anymore? Well the truth is, I will. So much of who I am as a beauty professional came at this sage’s wisdom. So I am taking Vicki with me, in my heart for the rest of my journey. What would her advice be for this New Year? Well I can only speculate, but I’ll tell you mine. Quit dreaming and start doing. You want to open your own place, just do it. Not carelessly, do it thoughtfully. Chances are you have already thought about it in your head for years. Put that thought and research on paper and take the steps you need to take to make it happen. Whatever your project is, start small if you must but start. Don’t let fear hold you back. Fear has been given the acronym of False Evidence Appearing Real. Are there obstacles? I’m sure. How can you tackle these? One at a time, a small chunk at a time to make these obstacles manageable? Do your research, do your homework and get the knowledge you need to face that fear for good. Live your own dream, no one else’s. Where your mind goes is usually where your heart is. Do you have a desire for something that’s your own and no one else’s? You will never work as long or hard on any one else’s dream more than your own. I remember my sister Connie asking me why I worked so many hours, ran in circles raising a family, building a business, surviving on minimum sleep. I told her because at the end of the day it’s for me and my family, no one else. The losses are mine but the victories are mine alone. I read a comment by a friend on Vicki’s wall who was no longer in the nail industry; she was now in the faux finishing business. Vicki told her she was very good at it and she should pursue her passion. What a gift that was to this young woman. Learn to take constructive criticism for what it is, constructive. Don’t let your feelings or ego get in the way of wisdom. Vicki’s words to me were sometimes harsh, but she had my best interest in mind. She had a way of cutting through all the hype and bs. She called it like it was, and I am so grateful for her candor. She told me things I might not want to hear, but needed to hear. She was clear in her observations that were usually spot on and she did it out of the genuine desire to make me grow, to push me to that next level I couldn’t quite figure out how to get to on my own. She had vision like that, I think that is what I will miss most. When I was down on myself or let insecurities creep into my head she would say I wish you could see yourself as others do, then you’d knock of all this crappy thinking. Unfortunately we all learned this past week a lesson in our books we don’t reflect on very often. We all think we have all the time in the world. We don’t. So in true Vicki fashion I encourage each one of you listening to quit your bitchin, and get on with it, whatever your it is. We owe it to ourselves; we owe it to Vicki to carry on brighter than ever. Pursuing our true passion with an eye on others to help them along the way as she did for so many of us. So make this year, truly your best ever. So todays writing assignment was to look at a work of art and immerse yourself in it and write your interactions. This led to a heartfelt reflection on the passing of a dear friend. To say it has been a long day is a gross understatement. I could not have imagined what lay before me this day upon my arising. I guess I knew this day would come, but it is here, now, and I must confront the reality that my friend is no longer here. As I took a walk earlier this evening I could barely see the path between my tears. For me physically taking charge helps me breath, helps me cope. I didn’t even know where I was going, it didn’t matter. The earth crushing beneath my boots was enough. One foot in front of the other as a prayer, as repetition, as comfort. The solitude of my grief was raw, the void palpable. As I turned to return home the view was stunning. It had grown dark, the day rolling down its shades for the evening, preparing for rest. The sky was vibrant with stars dancing their nightly serenade. Swirling around themselves and the mother sky. Flickering like strobes on and off, off and on. The clouds wrapped themselves into the mix ducking in and out of sight. Slowly crawling across the horizon, churning, rolling to the next hemisphere. Are you up there my friend? Can you see me? Do you know I love you? Are you somewhere in this starry night reflecting back at me? Are you at peace amidst the dance of light? Are you sending peace to me? To all of us who love you? The town is silent, not a whisper of wind, not a sound to be heard. Just the deafening silence, your absence screaming in my head. Every house tucked in for the night, lights extinguished as I walk. I may be the only person on the planet to receive this gift, the amazing gift of this sky, this night. I see the steeple of my church in the distance. The beacon of hope where I receive my daily dose. Hope as great as the universe, as small as my single prayer this evening. My single hope I hold in my heart as it breaks for my friend. I wish I could share this one more starry night with you friend. To share the wonders this universe pours out to us, only to be an afterthought most days. This incredible light show happens every evening, but tonight is even more spectacular with you in the picture. Your beautiful light adding to this dance of stars shining so brightly tonight. Why am I the only one here? Why is everyone else ignoring your show? Don’t they realize this night will slip away, never this wondrous again? The calm, after your storm, the peace after your struggle. I see you, I feel you, and I hear you in my heart. You wrap around me like this starry night, all the memories dancing along singing to my soul. In this quiet I know you are still here as sure as this beautiful night is here. But it is changing in every passing moment. Growing colder now it is preparing for tomorrow and so must I. I want to drink in this moment and hold it forever, yet I can’t. Tomorrow will come, and the stars will give way to the dawn. 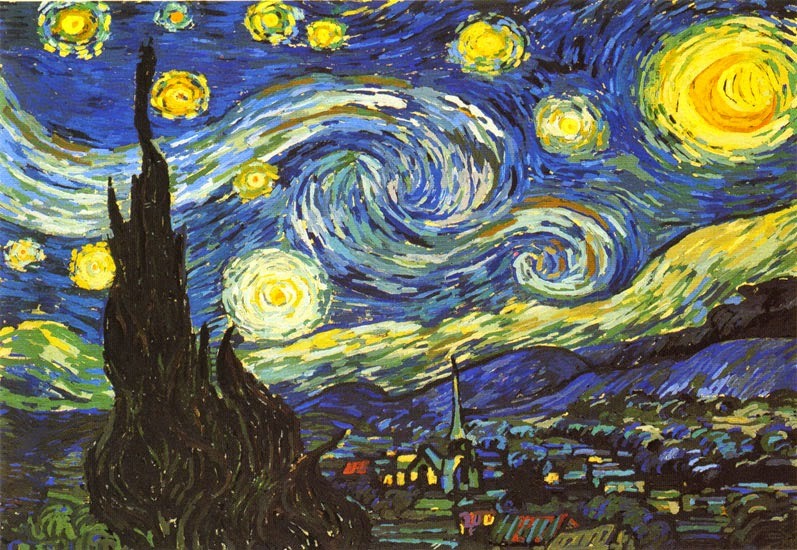 I must leave this starry night, but I vow to never forget this moment. How you made me feel, how you enlightened the world with your spirit. It is up to each one of us now as you pass this torch. To be that light, to enrich this earth, to give back to the universe that you have now returned to. Thank you for the show this evening, thank you for reminding me we are all but a vapor in the wind. I will never forget you mattered, you made a difference and out of my love for you I will remember it is my responsibility to do the same. Sleep tight my friend, until we are united. Facebook has determined that a lot of content people see is too promotional so they are switching things up yet again. The news feed has controls for ads people see and the quality of those ads but those same controls have not been as closely monitored for promotional pages. Until now. Facebook is bringing new content controls for promotional posts in the new year. It will once again be changing its algorithms most businesses rely on for driving traffic through these campaigns. So how can you still see success in your campaigns without Facebook? Socially stacked has these suggestions. Use good old fashioned email marketing to promote your latest products and milestones. Email marketing is still the most successful form of organic marketing for business. 70 percent of people say they always open email from their favorite companies. Host contests, promotions and other campaigns on your website instead of on Facebook. As I have mentioned before your website is under your control, no one else. You can’t say that about other social networks. A simple embed feature drives users to your site, where you want them anyway. Visitors usually stay longer on your website than they do on your Facebook page. Place ads on your website and blog for no additional cost. You can run all sorts of free ads on your blog and website, things like hello bars, display ads, pop up notifications and so much more. None of these cost any additional advertising dollars to run. You may need a graphic designer and web help to upload them to your site, but you get all the benefits. Try Canva to create your own graphics. Use share features from your website or blog to share content instead of relying on Facebook. Share features give your visitors six different way they can share a campaign, Via Facebook, Twitter, Pinterest Google +, Linked In or manually. Explore other networks instead of relying too much on your Facebook page. There is a big wide social networking world to conquer. There is a good chance your clients are seeking out your services on other networks, so join the conversation. And last but not least don’t forget about traditional media to make promotional announcements. The press release is not dead. Reach out to media connections you’ve built relationships with, or if you don’t have any, build some. Don’t panic about these Facebook changes for 2015. Spread around the social media love, because that’s smart marketing. Read the rest of the story here. What's Your 20 Mile March? 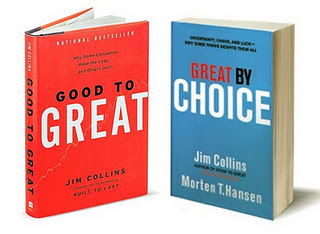 This past week I watched a DVD of a leadership summit with Jim Collins as a featured speaker. You know, the guy who wrote Good to Great and Great by choice. There were many parallels in his talk about why some people and companies are successful and others are not. It made me think of Ashley Craig, the $100,000.00 winner of Nail’d it. She shared many of the disciplines Collins shares in his book. What are they? First off you must have what he calls level 5 leadership behaviors, whether you are leading yourself, or a team. The x factor of great leaders is humility combined with will. Given you already have great leadership qualities what are these other factors that separate the good from the great? Fanatic Discipline- Collins calls this the 20 mile march. This 20 mile march came from a story he shared about two teams on an expedition to reach the South Pole. One team was successful, the other, perished. Dutch explorer Amundsen successfully led his team 20 miles every day, day in and day out. Not 25 on a good day and 5 on a bad day. 20 miles, day in and day out. Consistent forward progress, every day. It’s also just as important to know to not overdo, and leave yourself vulnerable to unforeseen situations. Managing yourself and your team in good times so you’re strong for bad times. When Ashley spoke of creating a home for herself and her daughter she knew she would have to build a career so she enrolled in Nail school. From her interviews it’s clear she was persistent , attending day in and day out, inching toward her goal. What is your 20 mile march? What do you need to do today to set the conditions to hit your mark, consistently, whatever that mark may be? Empirical Creativity – Discipline is not enough, we must create new things, take risks on new creative ideas to improve our work. How are you innovating differently than those around you? The key to this is in empirical. Creativity must be based on testing and experience. Placing the big bets, the big risks better be based on something you know is going to work. Collins recommends the bullets to cannonball theory. Fire small bullets at the target until you have a line of site before you load the big cannon. Have a direction, some success before you go all in. 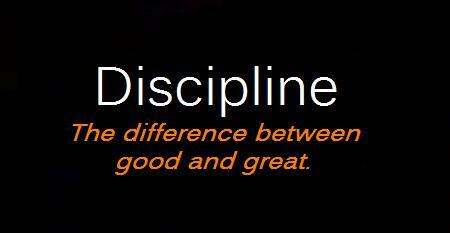 You must blend creativity and discipline, when we do this it amplifies our creativity rather than destroys it. Ashley already had a string of wins before she entered this competition, a line of site, a proven winning formula she amplified with discipline. Productive Paranoia The only mistakes you can learn from are the ones you survive. Yes you have to be optimistic, but also be aware things can get hairy. You may look at the glass as full but are keenly aware it may shatter at any moment. Successful people have reserves from the time they are small, it is not a luxury just for the bigger companies. Most success is due to this conservative start that they fiercely maintain as they grow. Take that paranoia and translate it into buffers, built in reserves in case disaster strikes. It is what you do before difficult times come, the discipline you have in good times that make the biggest difference in your success, so you can be strong when people need you. Collins uses the analogy SMaC. Specific, Methodical and Consistent. The greatest danger is not failure; it is being successful without understanding why you are successful in the first place. Ashley was consistently aware that there were talented competitors on her tail. Yet she dug deep into her talent reserves and delivered great work. This is such a great big topic and there was so much more I could share, so I hope I have stirred your interest to learn more about it. Read more about Jim Collins research. Find your 20 mile march and follow it! I came across this article on my news feed and thought it had some great points to consider for building your business. Nothing earth shattering, yet worth reminding ourselves. The article featured a hairdresser that is a solopreneur, much like many of us. Working on and in her business. The author asked her these questions. 1. What makes you unique in your industry? She said she is consistently focused on her clients. She keeps up with trends, learning the latest to bring to her guests. She considers herself unique because she has been fortunate enough to train in London, Milan and New York. So are you keeping up with the latest trends? Colors? I often pick up a new color or art technique at shows and let my client know I had them in mind. Treat yourself to an amazing education event, soon! 2. How do you promote your brand? Since she is an independent contractor she took the initiative to create a website and promotes that website through social media. How’s your website coming? Still don’t have a Facebook page, website or Instagram account for your business? Looks like that will be on the top of your list for 2015. 3. What three tools help you find new clients? Still on top of the list is word of mouth, it is as important as ever. Her positive reviews on Yelp have brought in several new clients and she adds her website to her newsletter, business cards, Pinterest and Facebook. I recently added my Styleseat link to my Instagram account as well. Linking your social media accounts to one another is key to engaging current and future clients. 4. Do you need to be Tech-savvy to maintain a website? This stylist is smart enough to know to leave this to the experts. She engages the help of a friend and what takes this tech savvy friend an hour would steal much more precious time from her schedule. 5. How do you know when to ask for help? When her schedule is 85% books she brings on an assistant to pick up the slack. This allows her to focus on the client. I know this seems like a dream to many of us, but assistants can pay for themselves. If you bring on a licensed assistant she can upsell services like paraffin dips or extra nail art that she can perform. A non licensed assistant can help with taking payments, booking appointments and keeping things clean and organized throughout the day. Even if you bring one on for your busiest days they are worth the time and effort to train them. How do you maintain a work life balance? This savvy stylist keeps things under control by working 4 days per week with two of those being 10-12 hour days. I have to admit I do this too. I’d rather work longer days and be busy than more days. This leaves two days off per week to attend to business affairs, spend time with friends and family or just take a day for you. Try to attend to business during business hours as well. I know many times it is so easy to just answer one text or email, but when you do your clients expect to hear from you 24-7. Because you’ve trained them that way. Try and put the computer away during family time and on time off, if you must, let them know you check at designated times like 10am and 5pm. Anything else can wait. As a recovering workaholic I can tell you this is a big one. Let your clients know they are certainly important, but so is your life. I've been a Professional Beauty Girl for over 30 years....WOW how is that possible? Well when you go to beauty school in elementary school, OK high School. I started in salons as a stylist, added manicures, pedicures, make-up, waxing.....Oh and last but not least skin care. I LOVE what I do, work with great people, on great clients, it beats getting a real job. Some of the many things i have done in the 30+ years of being a ProBeautyGirl. I have worked behind the chair as a stylist, manicurist, gel technician, skin care specialist and make-up artist. I've done editorial work for magazines and advertisers in the Cleveland area. I've worked as a Gel Nail educator instructing other Pro Beauty Girls in the fine art of gel enhancements. I've been a regional manager for a national nail care company designing sales and educational programs. I am an industry writer and have written articles for magazines, websites, educational brochures and even been a ghost writer...and that's not writing about ghosts. I develop educational programs for beauty pros for continuing education hours, and speak at trade shows and webinars. I'm pretty much all over the beauty place. I've developed and patented a beauty product, been involved in research and development of others. I opened Natural Beauty Salon in 2001 and was named first runner-up for the 2004 Artist and Visionary salon of the year award. Named to the United Who's Who Registry of Executives and Professionals and awarded special recognition by the members of the House of Representatives of the 126th General assembly of Ohio...WOW...I am now a beauty blogger, sharing my adventures with other beauty pros. ENJOY!